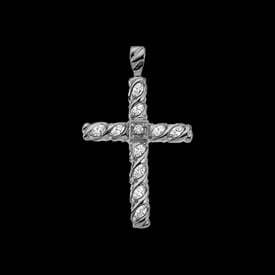 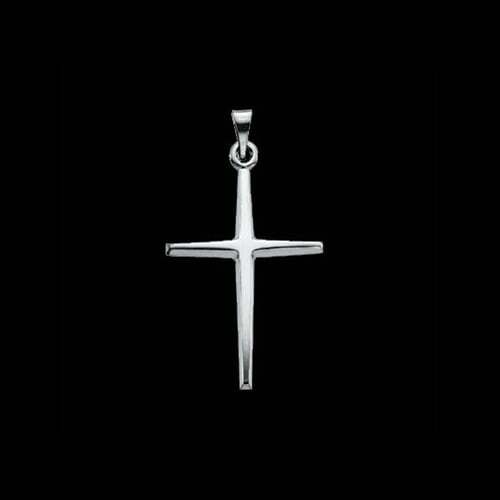 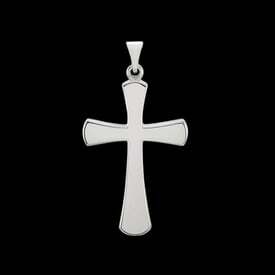 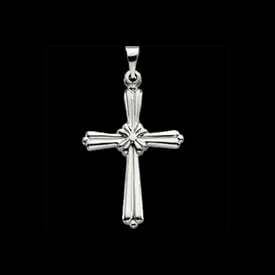 Pretty Platinum cross pendant. This platinum cross is available in 3 great sizes the smaller is 23.25mm in length by 12mm across, next size 27.75mm by 15mm, and the large measures 32.5mm by 18mm . 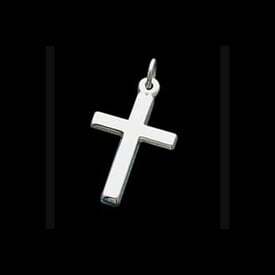 (25mm - 1 inch) You'll love the simple clean design.